Enjoy one of our massage therapies with a wide range of techniques & oils to help increase relaxation, relieve stress & ease aches & pains. A completely relaxing full body massage using our safe but effective pre-natal techniques and our award-winning Omega rich oils to relax those specific lower back muscles that are carrying that beautiful bump. Includes a wonderful neck and head massage and the unique Yummy Tummy elasticising mask. 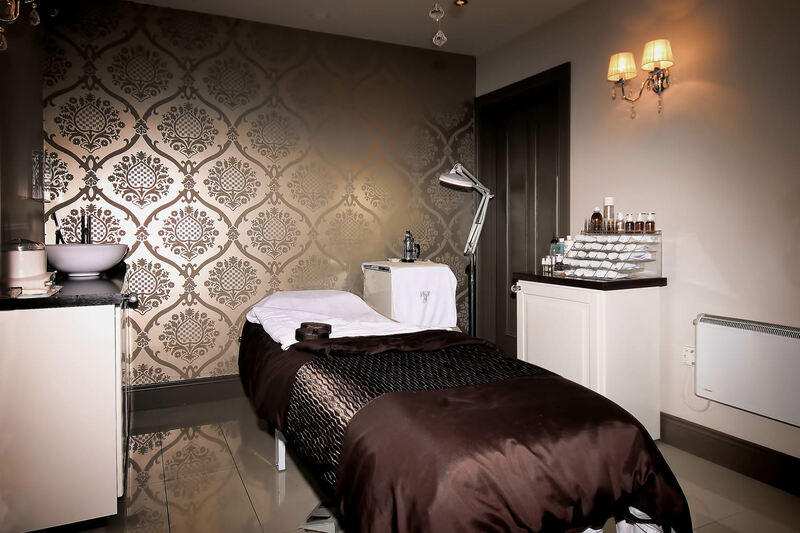 A complete top to toe spa experience with our pregnancy facial- deep cleansing, exfoliating and rebalancing combined with mind- melting massage. The wonderful Oxygenating Mask clarifies and helps with pigmentation whilst your hard-working legs and feet are treated to a circulation boosting, cooling mineral wrap to ease circulation and reduce puffiness. Sit back, relax and get ready to look and feel gorgeous. All mamas-to-be experience discomfort in their backs at some point during pregnancy as the weight of the bump grows and everything moves and adjusts to allow your growing bump. Although this is a wonderful experience, any discomfort in your back can dampen your mood and this is where we need a treatment to come to your rescue! Mama Mio's Free Loader Massage aims to relax your muscles and ease your tensions. You will lie on your side while your therapist treats half of your back and you may then turn over so your therapist can repeat the massage on the opposite side meaning you get a full back massage without putting any pressure on baby. Pregnancy can be a tiresome time and sometimes we need a little something to ease away our stresses and give some relaxation! This luxurious massage treatment starts with a relaxing eye compress packed with Aloe Vera to soothe tired eyes. Your therapist begins to massage the décolleté to help relax tight chest muscles before working up to relax and release any facial tension as you inhale the soothing Gravida aroma that is present in all Mama Mio products. Then, a deep neck and shoulder massage relaxes tensions and soothes tight aching muscles. A scalp massage completes the ultimate de-stress treatment! A fabulous relaxing treat for any mummy to be! under the action of relaxing, comforting techniques with precious oils, the body gives in to a feeling of lightness, renewal, and utter plenitude. Results : a moment of complete well-being that leaves you feeling invigorated and energized. A date with yourself, a pause for well-being to take as often as possible. Relax and luxuriate in a candle lit room while we ease all your troubles away. Treatment begins with the application of a warm infused compress followed by a slow soothing back massage, treatment is completed with application of our luxurious body creams. Deep tissue massage therapy is beneficial in releasing chronic muscle tension. The focus is on the deepest layers of muscle tissue, tendons and facia (the protective layer surrounding muscles bones and joints). Renowned as our hero treatment and loved by all; this experience delivers triple results by targeting three key areas - the back, the face & the scalp, making it the ideal treat for anyone. This is a traditional Indian technique of treating the upper back, neck, shoulders, face & scalp. The technique was originally developed by women who used oils to help keep the hair strong and in beautiful condition. This is gentle yet powerful massage that works to balance the bodies energy chakras. A therapeutic full body massage using aromatherapy oils and warm volcanic stones to relieve deep muscle tension. The warmth of the stones penetrates your muscles to soothe aches and pains; helping you to unwind and your body to feel rejuvenated. Includes: Hot Stone Aromatherapy massage to back, legs, arms, abdomen, neck/shoulder massage,finishing with a lovely scalp massage.